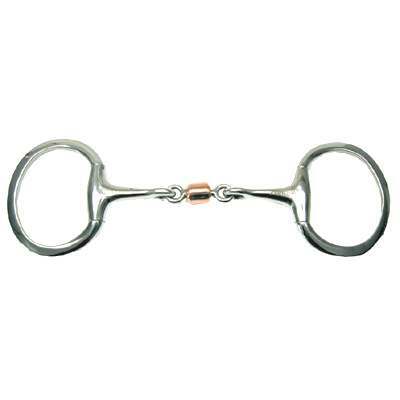 One of the best selling Eggbutt Snaffle Bits with Copper Roller is offered here at our online horse tack store. The eggbutt style keeps the mouthpiece from moving around the rings which reduces snapping motion between rings and mouthpiece. We feature all types of Horse Tack Supplies from bits to Horse Snaffle Bits This product helps with the horses salivation to keep the mouth moist. This Eggbutt Bit measures 3'' in rings and 12mm mouth. It is also made of pure solid stainless steel which will last for many years. You can see the superior craftsmanship in the product image above.